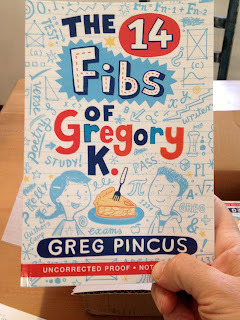 Just want to point out the Disability in Kidlit blog, in case you've missed it. Cuz it's great, ya see. This isn't just about listing books where disability factors in. No. We're talking critical looks at representation, conversations about myriad issues/concerns, and well-written thought pieces by folks who know of what they speak. The blog may only be active for the month of July, but I, for one, hope it continues. 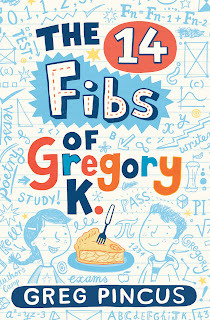 It reminds me of Debbie Reese's American Indians in Children's Literature blog... and that's a good thing. 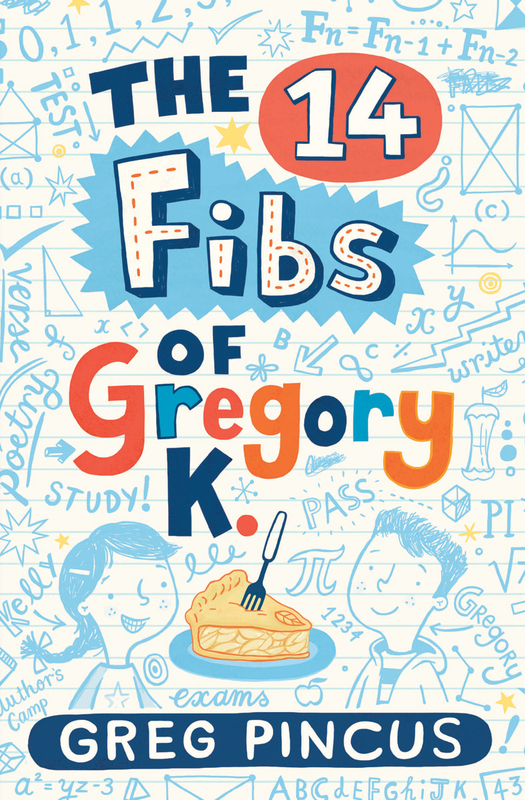 We talk about children's literature being a mirror for kids, and it's important to examine how we're really doing in that regard when it comes to our portrayals of others different than "the norm" (whatever the norm might mean these days....). Check it out, I say! 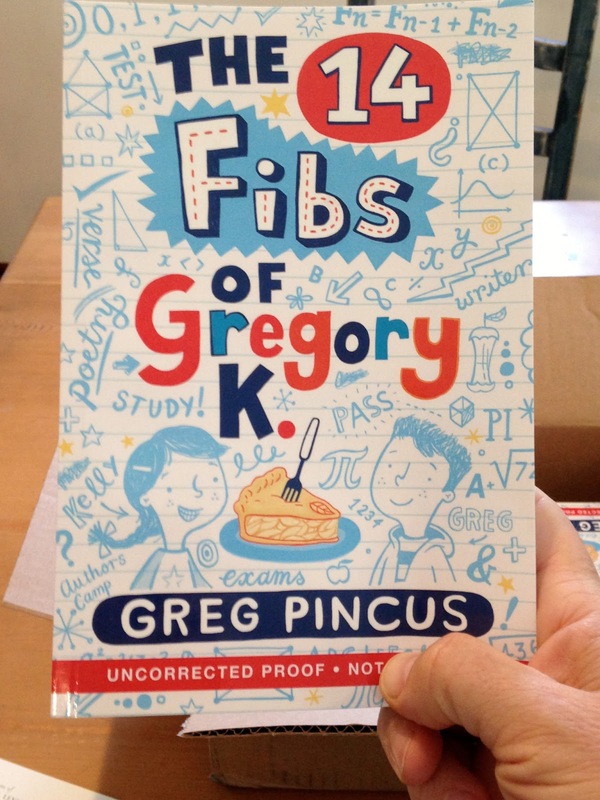 Yes, it's ARCs (advance reader copies or galleys or uncorrected proofs or whatever you might want to call them) of the 14 Fibs of Gregory K.! Where is the Fourth of July? to what it used to be back in the days of old. Where is the Fourth of July parade? Saluting the flag? Dressed in red, white, and blue? Kids riding bikes down the avenue? Where is the Fourth of July of old? I said to Gramps, "It's holiday gold! July the Fourth is a household word!" Ish only July da fird." 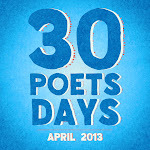 It's always nice (and a bit of a thrill) to have J. Patrick Lewis stop by here at GottaBook and share a poem. 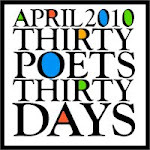 And today it's a poem for the 4th... or the 3rd... or both! 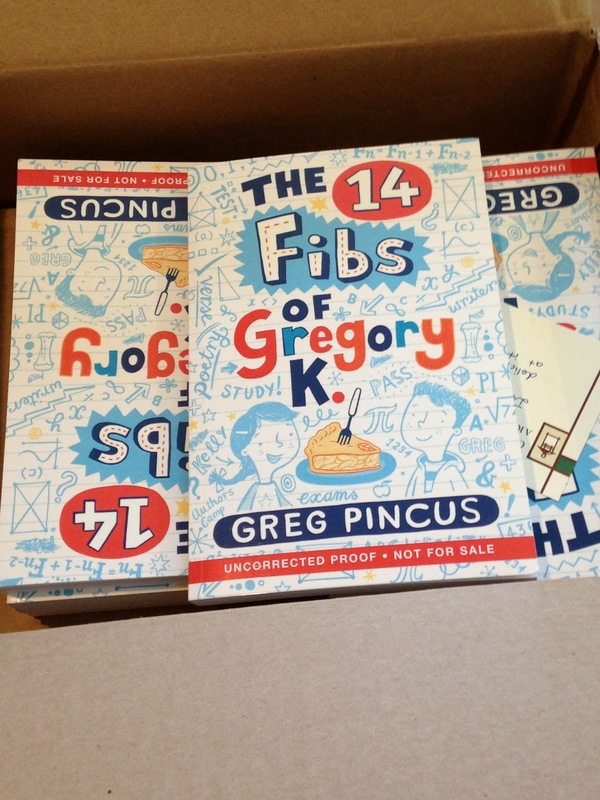 The 14 Fibs of Gregory K. is due to launch three months from today! 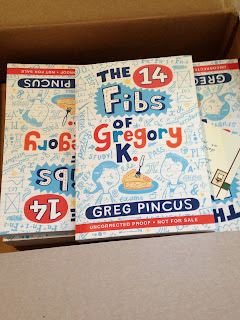 You should stop by your favorite indie bookshop and encourage them to order gobs of copies, don't you think? Yes. Of course, you do. Don't know why I asked. 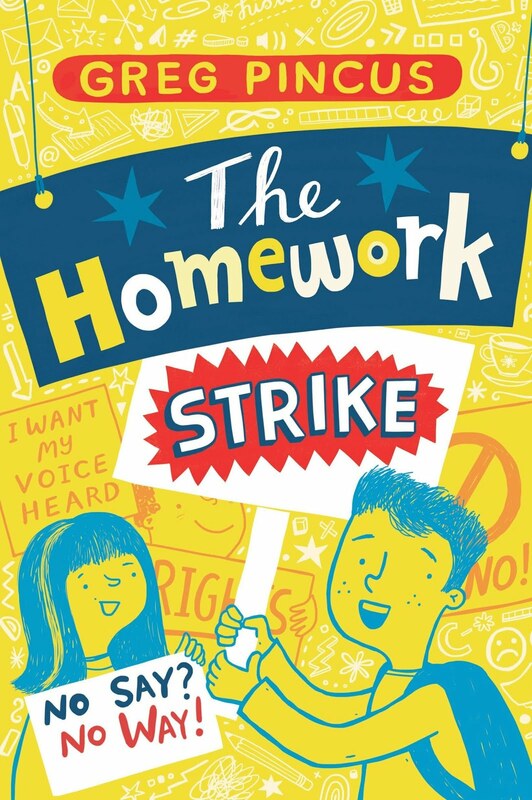 Or you can pre-order it on Amazon, even. But really what I encourage most is to hang out and be gleeful with me or with any other author you know who's got a book coming out soon. It's an exciting time, yet it's easy to forget to celebrate. So find an author and have some fun!